We serve carpet cleaning Santa Ana, CA. Santa Ana, CA, is a major city in Orange County, CA, just south west to Anaheim. Over the years Santa An have become a central location for out carpet cleaning services. Therefore, we visit Santa Ana daily serving our loyal customers and new customers of our carpet cleaning service. Carpet Cleaning Santa Ana service is on high demand for quite some time now. That has many factors that have supported this need, and here we will discuss some of them for your knowledge. Moreover, many of these reason have an immediate need in carpet cleaning response. 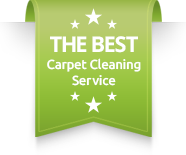 Therefore, we offer same day carpet cleaning Santa Ana service for your comfort. Carpet cleaning Santa Ana for apartment buildings. Santa Ana, CA is filled with apartment buildings and young executives moving in and out constantly. The cleaning of apartments’ carpet is typically the hardest. The main reason for it is the lack of space. Therefore, the main traffic areas are very narrow and get sever beating from our feet walking on it. So, the ware and tear of your apartment carpet is on a much faster pace than a normal household carpet. 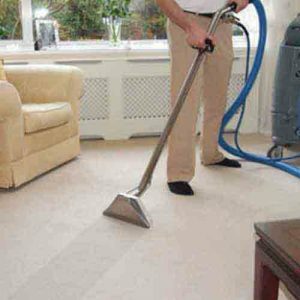 However, we specialize in all techniques for deep carpet cleaning for exactly these cases. Carpet cleaning Santa Ana for your home. With so many residents, Santa Ana is a city of families as well. Carpet cleaning your home is our profession, and especially a home that is full of life. We know what it takes to remove the heavy foot traffic, the food and drink spills and even pet stains. Carpet cleaning your home in Santa Ana is what we do and specialize in for over a decade. Commercial carpet cleaning Santa Ana. Santa Ana is also known to have large industrial and commercial areas. Therefore, many of the commercial buildings needs constant maintenance on them. For many years we have taken the responsibility to keep many of the commercial offices clean. Also, for our return and new customers we offer commercial carpet cleaning Santa Ana packages and specials so you can keep your work space looking at its best all the time.For more information about our carpet cleaning Santa Ana, please contact Dr. Carpet Anaheim.